Air is exhilarating energy. Today, through the initial perfume and two new fragrances, Gioia offers the joyful experience of beautiful, fascinating Nature. 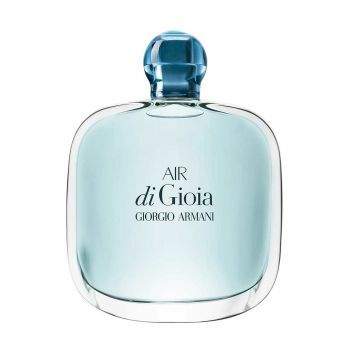 The power of water captured in Acqua di Gioia is now joined by the radiant happiness of the sun, Sun di Gioia, and the exhilarating energy of the air, Air di Gioia. The olfactory score is an Italian melody of mandarin-neroli, a "salty floral" refrain composed of peony, ylang-ylang, and orange blossom, all on the base of a woody, patchouli-Cashmeran hymn with a hint of moss. The wake is buoyant and euphoric, as free and exhilarating as pure, fresh air.